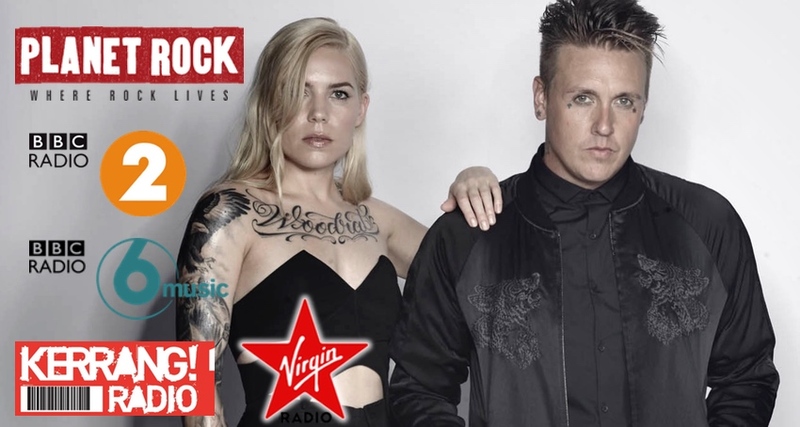 It’s been a pleasure to work with Papa Roach and Eleven Seven Music on the radio campaign for ‘Periscope’, featuring multi platinum selling singer Skylar Grey (Rihanna, Dr Dre, Eminem, Nicki Minaj) and taken from their new album ‘Crooked Teeth’. This track saw Papa Roach receive their first ever BBC Radio 2 plays across their ‘New To 2’ and ‘Radio 2 Rocks’ playlists, as well as support from Chris Hawkins on BBC Radio 6 Music. Further to this Matt Richardson made the track his Record Of The Week on Virgin Radio and Kerrang Radio and Planet Rock added the track to their playlists. Having sold over 20 million records worldwide and with 5.7 million listeners on Spotify, the band first came to light with their worldwide hit ‘Last Resort’ which went triple platinum and since have had both gold and platinum albums. The track has already racked up over 5 million plays since it’s release in May and has gained top billings on major playlists such as Spotify’s Rock This, Beast Mode, and Digging Now, plus YouTube’s New Music, New Pop, and New Rock playlists. The band have also received major support from Daniel P Carter (Radio 1) and recently completed a Maida Vale Session. The band is heading out on an extensive headline UK and European tour in September with a show at Brixton Academy on the 10th October.